My friend’s son was having a hard time deciding on Valentines to give his classmates. He’s a super cool kid but also kind of shy so a lot of the store bought cards he’s seeing just didn’t appeal to him. 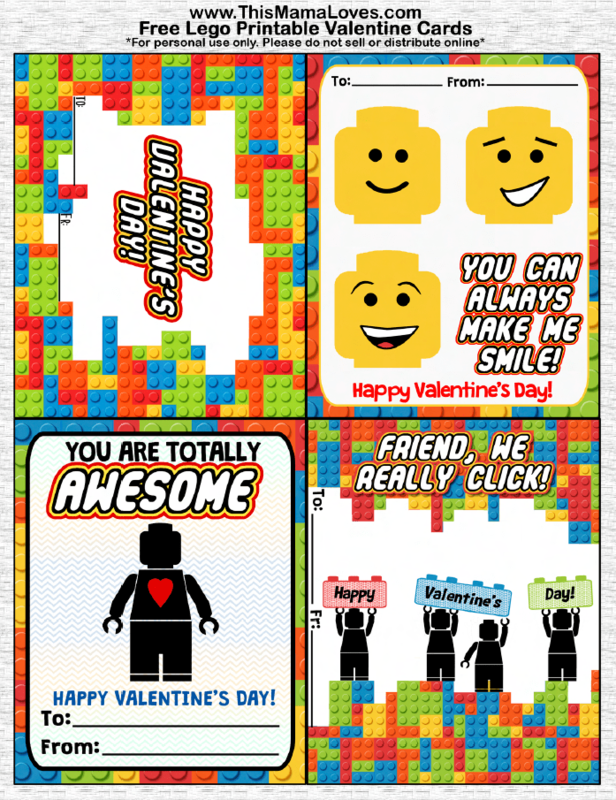 I asked my friend Elizabeth to make some LEGO Valentines cards- printables- for me that would work- and since I know there are other kids out there who may not want just what everyone else has… we decided we better just share the fun with all of you!! Not into LEGO? Check out our printable Minecraft Valentines, American Girl Valentines and Hipster Valentines! Thank YOU!!!! Finding a valentine for a shy 3rd grade boy is an impossible task! The file comes up blank when i open it. oh no!!! let me check. it was working the other day. I can’t open it either ? Any chance I can get an email?